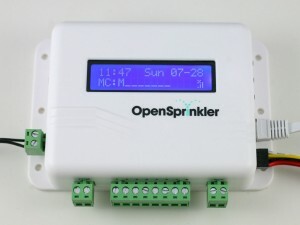 An open-source web-based sprinkler controller. Featuring single power supply design, built-in ATmega644 mcu, Ethernet controller, USB port, RTC, LCD, rain sensor, and expandable number of zones. Mobile web app available. 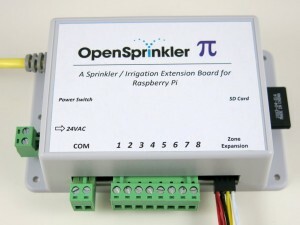 A sprinkler / irrigation extension board for Raspberry Pi. Allows RPi to directly control sprinkler valves. Featuring single power supply design, built-in RTC, ADC, and expandable number of zones. A sprinkler / irrigation extension board for BeagleBone Black. 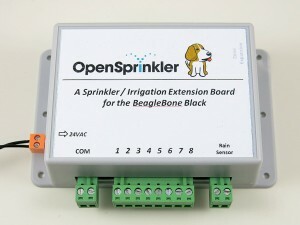 Allows Bone to directly control sprinkler valves. Featuring single-power supply design, built-in RTC, mini-relay, and expandable number of zones. 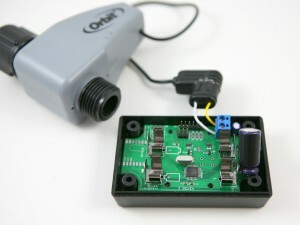 An open-source controller for battery-operated / latching sprinkler valves. The standalone version is powered by AA batteries and controlled remotely via RF. 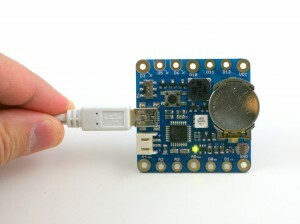 The shield version plugs directly into a standard Arduino . 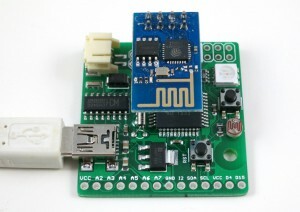 An open-source gadget for the ESP8266 WiFi module. Built-in ATmega644, USB, color LED, thermistor, photoresistor. Make WiFi-enabled lights and sensors. 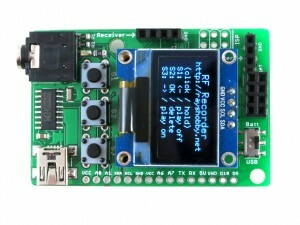 RFToy is an Arduino-compatible microcontroller board for interfacing with radio frequency (RF) modules. Build-in ATmega328, USB-serial, 128×64 OLED display. An open-source sewable Arduino microcontroller board. It’s small (1.7″) and square! Featuring built-in USB, rechargeable coin battery, color LED, buzzer, temperature sensor, light sensor. 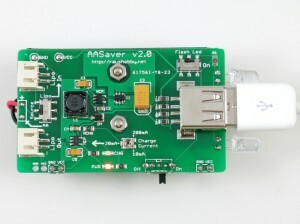 A versatile boost converter that bumps two AA batteries to 5V. Use it for USB charging, LiPo charging, as LED flashlight, bread-board power supply. Works even on ‘dead’ batteries!